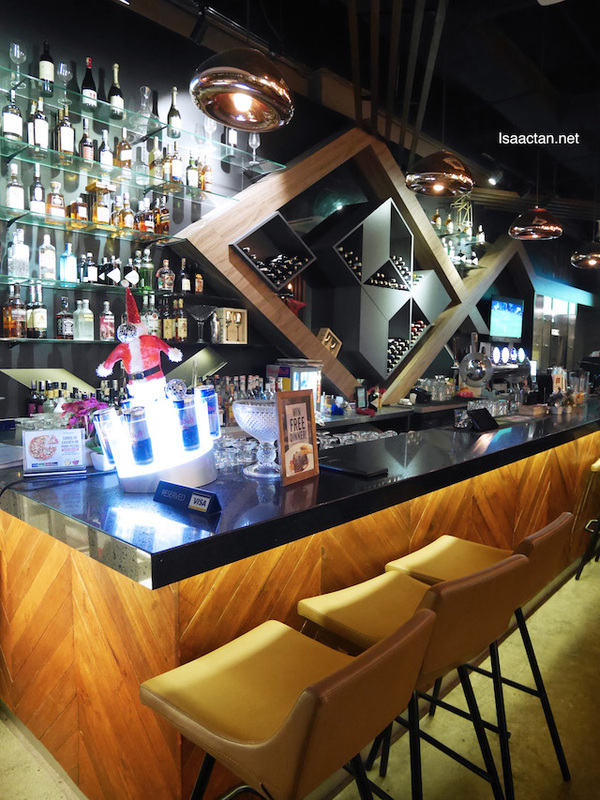 An interesting name indeed, The Eighth Avenue @ Publika Solaris Dutamas is this rather cozy bar & restaurant at Publika Solaris Dutamas serving a range of Australian-European classic, with some fusion dishes thrown in. I was there recently to check out their new menu, and my, it's nice! Take note though, this is a non-halal establishment, so there will be meat, lots of meaty delights and alcohol to down it all. Entering the The Eighth Avenue Bar & Resto, I quite like the ambiance it exudes, dimly lit and rather cozy. Coming here with a group of friends is really nice, as there's ample seats and tables to fit even larger groups of people. 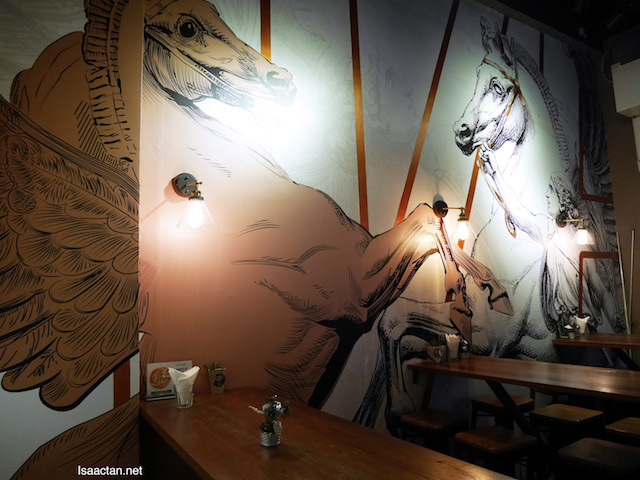 There's a horse drawing on the wall, which actually gave a nice fitting feel to the bar. We kick started our meal at The Eighth Avenue with some light bites in the form of the Taco About It tacos, and Angles and Demons. 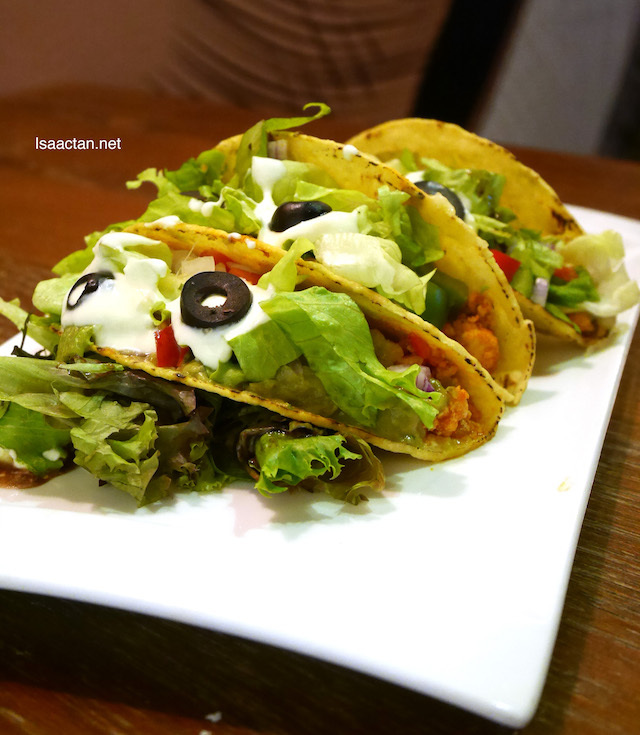 The Taco About It is rather colourful, with minced pork, capsicum, red onions, cheese, homemade guacamole and sour cream thrown into the mix. Love the crunchy bits. The Angles and Demons on the other hand is an interesting fusion dish, smoked salmon wrapped in juicy cantaloupe, and bacon wrapped prunes. How's that for being really interesting. 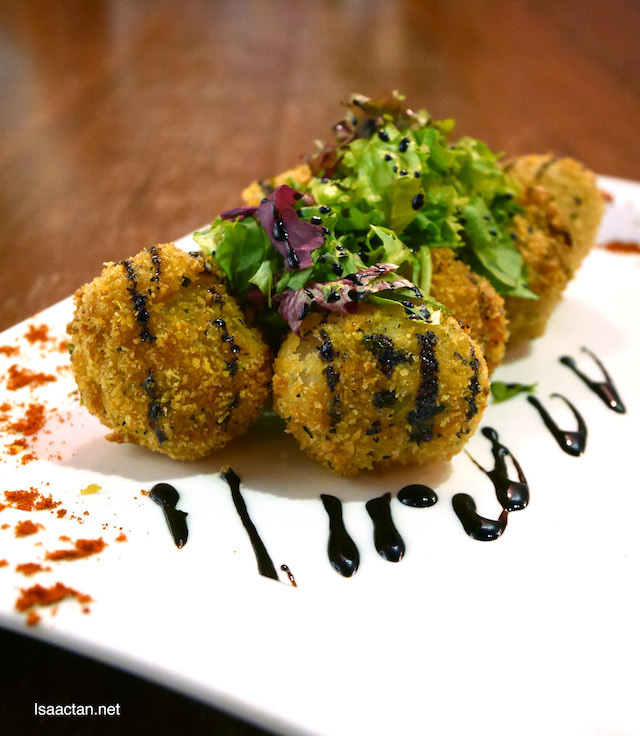 Lychee Pork Poppers? 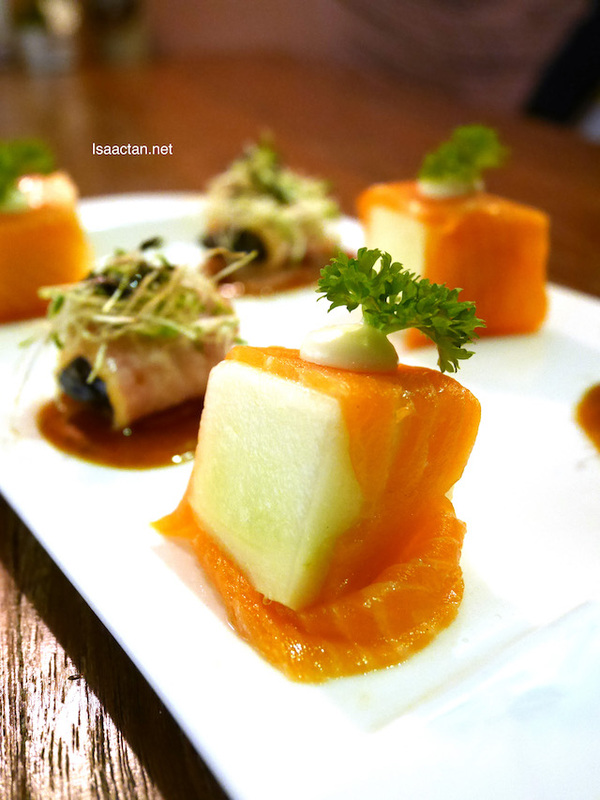 I did not think lychee would go well with savoury tasty pork, but here it tasted heavenly! Lychee fruit stuffed with minced pork, it's then deep fried to a crisp on the outside. Lovely sweetness within. 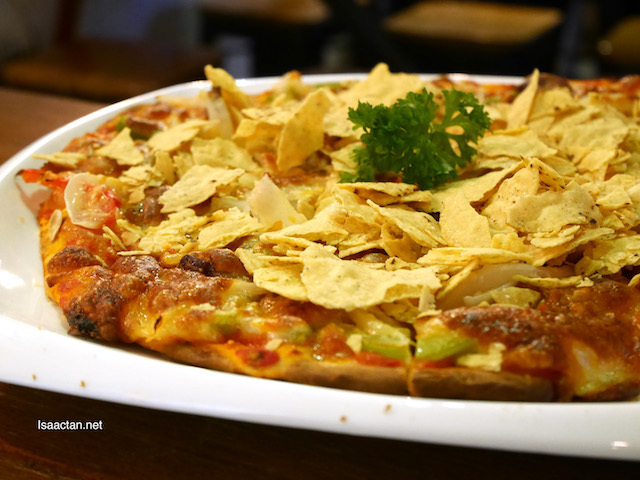 A good pizza completes most meal, and here we had their Mission Chilli A-Con-Plished Pizza, a Mexican inspired thin crust pizza with loads of pork or chicken. Yummy! Meat lovers, rejoice! 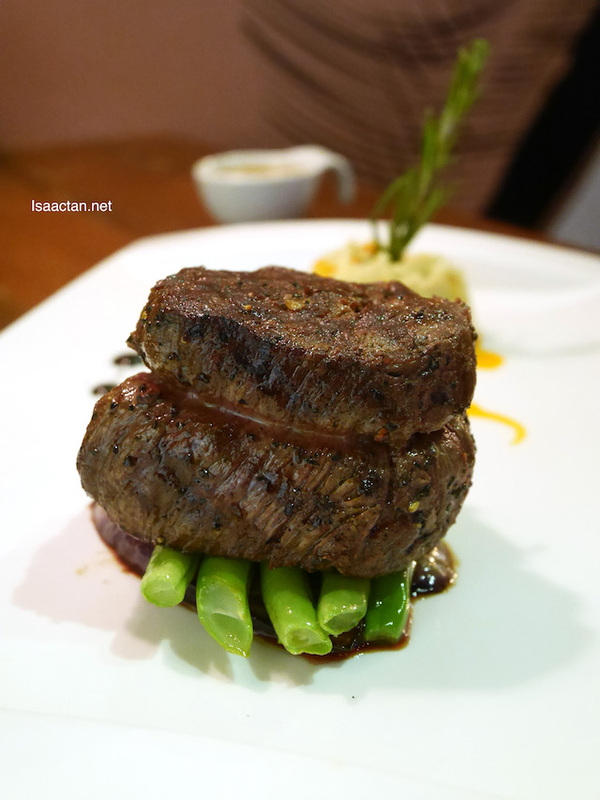 One bite into the tender Beef Tenderloin, all 8oz of it, and I was in heaven. What took me by surprise is that it's actually served with truffle mash potatoes, grilled egg plant, and sauteed green beans. Some healthiness in an otherwise heavy dish. The black pepper makes a huge difference in the taste as well. 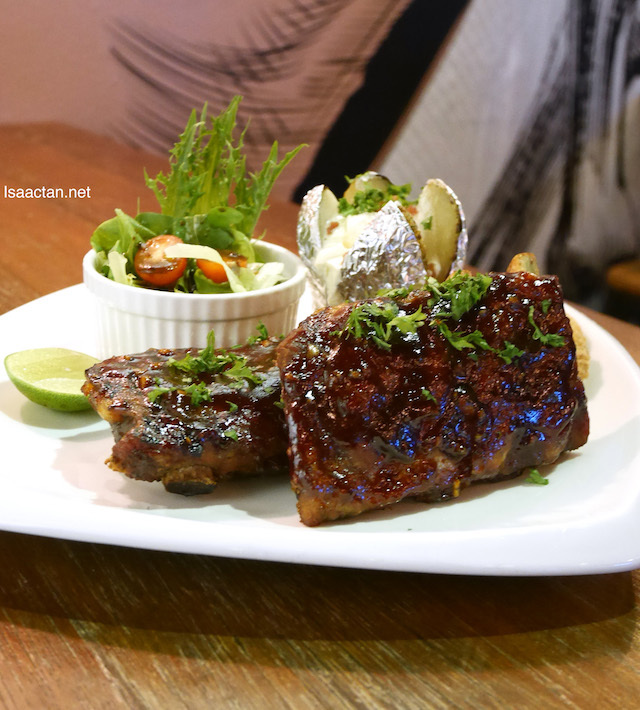 Crowd favourites, as well as my personal favourite, the Beer Marinated Pork Ribs is a must order. The Eighth Avenue specializes in porky dishes and this happens to be one of their star items on the menu. Yum! The Chef actually marinated the baby back ribs for up to 8 hours in beer before roasted to perfection. 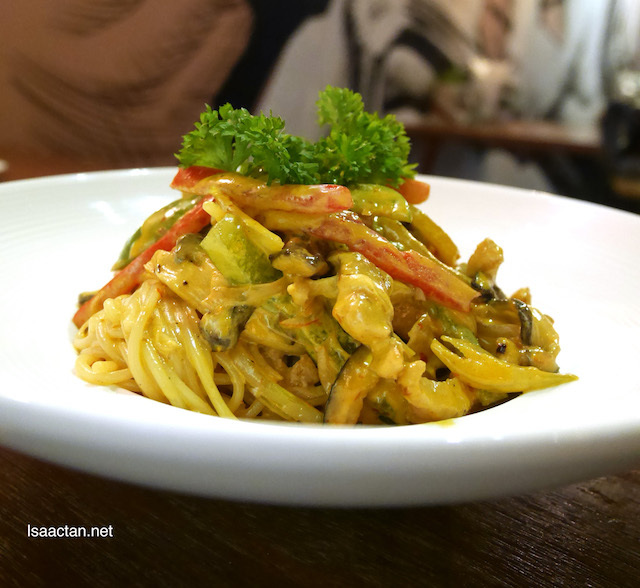 A pasta dish with sambal inside? Why not! Introducing the Oink Oink Sambal, a pasta dish tossed with pork slices cooked in home made sambal paste. It's a spicy dish, but one which I wouldn't mind having more of! Down all those dishes with specialty cocktails created by the owner of The Eighth Avenue. 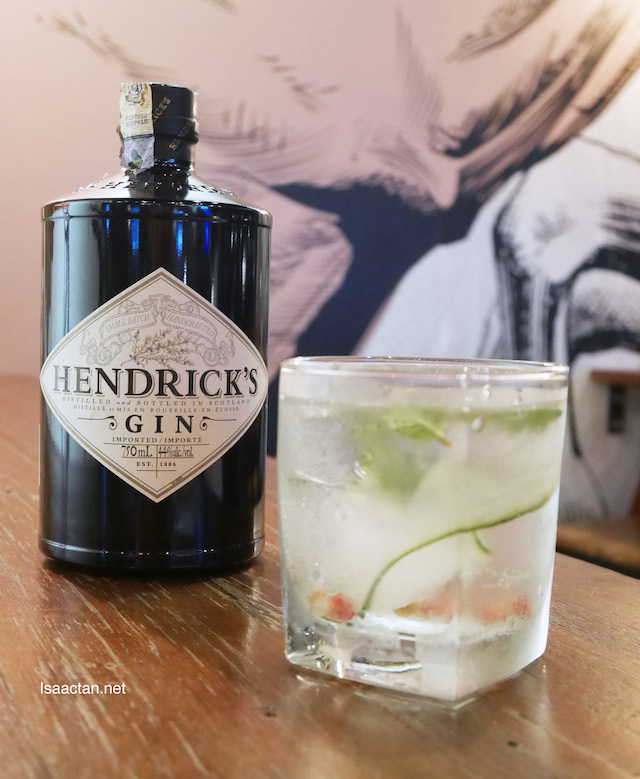 Hendricks Code, made from Hendricks Gin, mixed by his mixologist, this is pretty good, going well with all those meaty dishes. 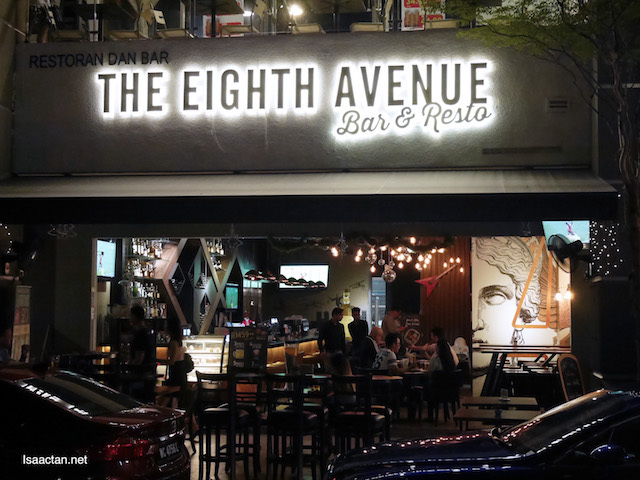 The next time you're on the look out for a good spot to spend the evening with friends over a good meal and drink, remember to drop by The Eighth Avenue Bar & Resto @ Publika Solaris Dutamas, KL. Oh my!!! Pork ribs!!! Slurpssssss!!! Angles and demons, is that a twist on the word "angels"?